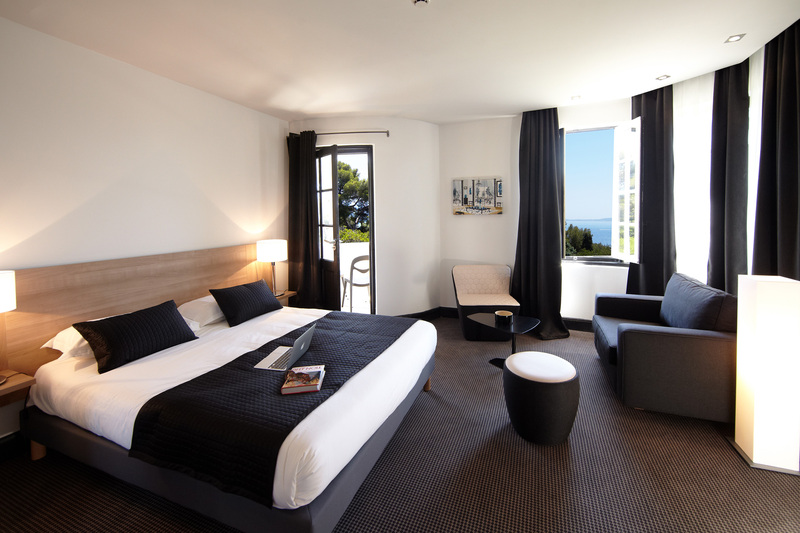 The Hotel Les Terrasses du Bailli*** has 24 rooms, including 21 rooms with a sea view opening onto a terrace or balcony. 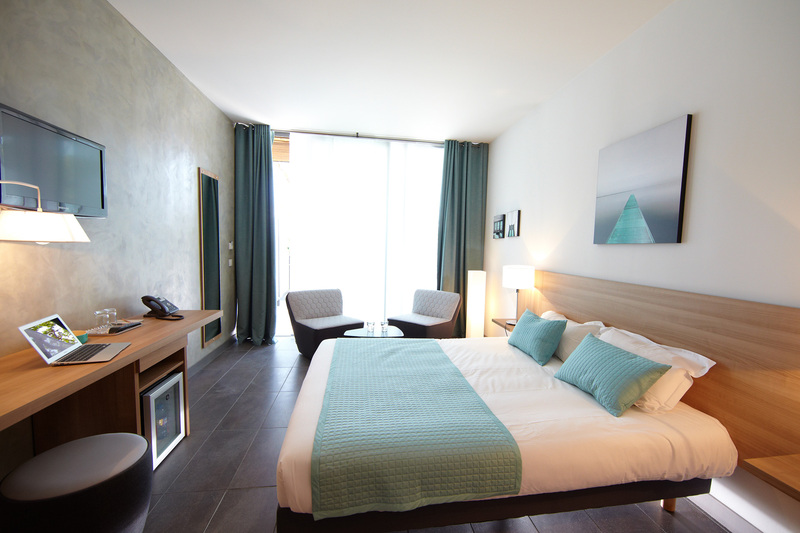 You can take in the sea view from the hotel’s spacious rooms (20-27 m²), all south facing and decorated with soft tones. 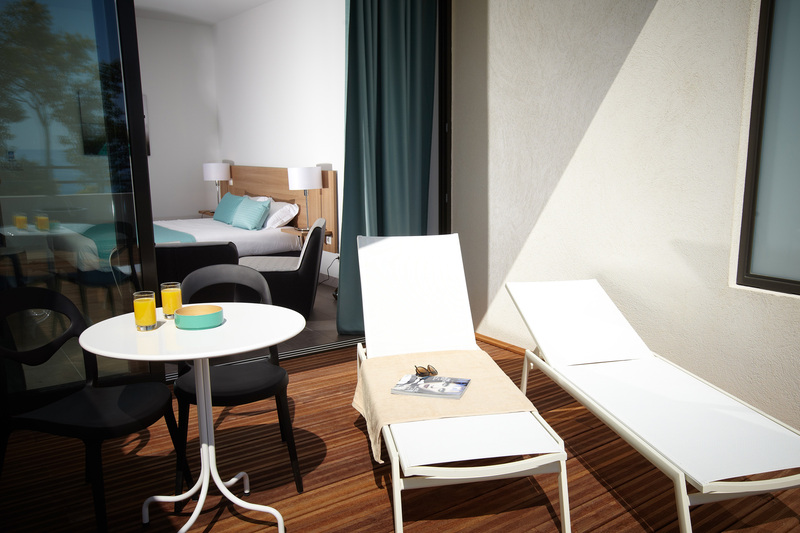 The hotel also has two rooms for disabled guests located at garden level, opening onto the large terrace of the hotel. The fully equipped bathroom is fully accessible to disabled people. There is also facilitated access to the reception, pool and car park.